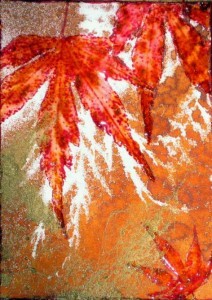 I am hosting the CBC ATC swap this month and for a nice easy theme I have picked ‘Autumn’. Here are my two for the swap. Inspired by Jo Capper-Sandon’s article in the October issue of Craft stamper magazine I have been playing with spray inks and natural masks to make the background card (the leaves ATC). She used small branches for her example but I have used Acer leaves as a mask for mine. 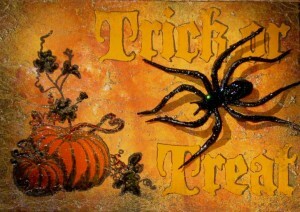 This entry was posted in ATC, Autumn, CBC swap by Jackie. Bookmark the permalink.